This post is part of the Natural Security Forum blog, which provides quick analysis from the Natural Security Forum team and outside contributors. For more information, visit the Natural Security Forum's micro-site at www.naturalsecurityforum.org. Illegal, unreported, and unregulated (IUU) fishing has emerged as a significant threat to global economic stability and security, causing an estimated USD$10-23 billion in economic losses each year. 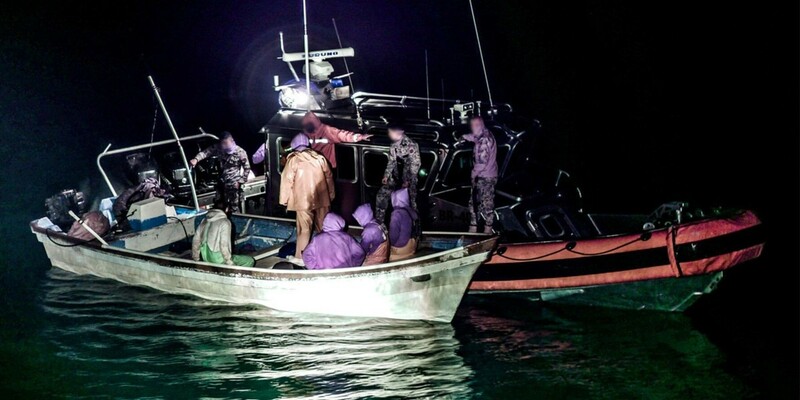 Traditional counter-IUU fishing efforts primarily involve at-sea enforcement, which often suffers from low visibility on vessel activity, limited enforcement resources, and the sheer difficulty of finding a small vessel in the vast ocean. Illegal fishing, however, is only one part of a larger transnational supply chain that winds through processors, exporters, and intermediaries before ending up on a consumer’s dinner plate. These individuals and companies — the ones managing the movement of fish from sea to table — are the true beneficiaries of this billion-dollar industry. A more effective strategy would combine at-sea enforcement with on-shore network analysis — utilizing seizure, shipment, and other information — of the ultimate beneficiaries of IUU activity, allowing enforcement officials to target IUU networks at their core.